We are incredibly thankful to our 2018 Market Sponsors for joining us to promote sustainable, local food, supporting our local food system and local economy, and especially the makers, farmers, growers & bakers who make it all possible. visit our 'sponsor the market' page to learn more! Copper Crown is a restaurant in East Asheville featuring a New American menu. They offer a casual lunch menu Wed - Sat as well as a slightly more upscale Sunday brunch, and are open 7 nights a week for dinner. The dinner menu reflects their use of local produce and features both small and large plates. They also have a seasonal patio and a full bar. 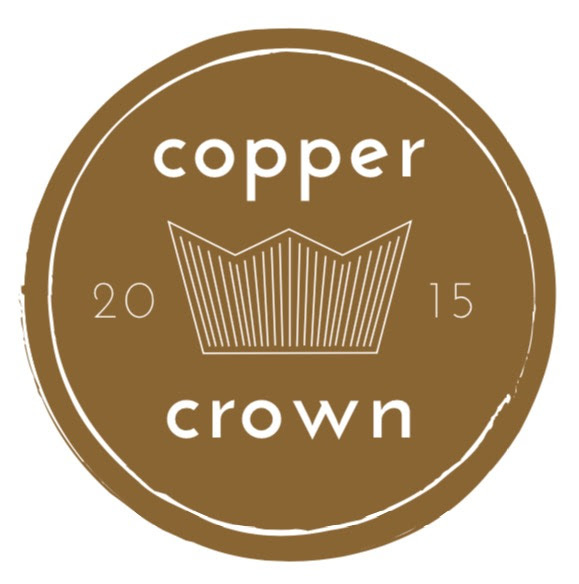 Check them out on online at www.coppercrownavl.com for more information and to see their weekly specials. Dogwood Alliance is a non-profit working to mobilize diverse voices to protect southern forests and communities from destructive industrial logging. Right now, they have three of their folks in Europe taking our important message of forest protection global, and have also just launched their Forest Defender program. Check out their "Stories Happen in the Forests" videos here! Find them at market some weeks to learn more. Dr. Abigaile and Dr. Landon are both Palmer graduates and family physicians. Located in the heart of downtown Asheville, Gardens of Health Chiropractic is a family friendly clinic with an emphasis on the whole body. Learn more here. Village Wayside is a train depot turned diner offering new twists on the classics we all know and love.